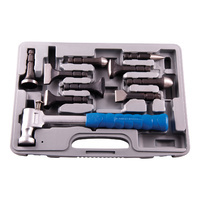 Includes hand pump with air control valve. The air bags are gentle on glass, frames and paintwork. Each bag is made from tough reinforced fabric. 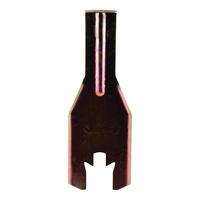 Tapered forks slide under most types of auto body clips. 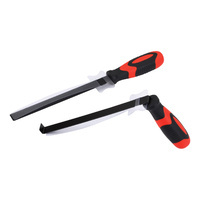 This 3-in-1 tool fits rubber clips, plastic clips & handle clips for removal of door panels and door handles. Also removes headlight springs. 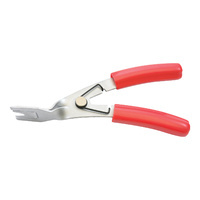 Extra length and offset body for removal of internal handles. 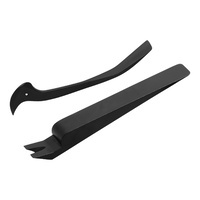 Reaches handle clip for instant removal without damage to upholstery. 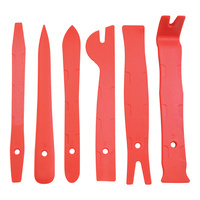 A high quality set of non-marring plastic trim removal tools. 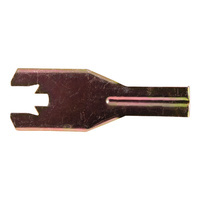 The universal hook tool features multiple profiles for those tight spots that other tools simply will not fit in. 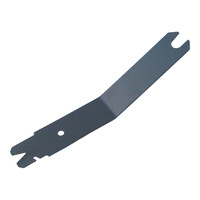 The combination wedge tool is excellent for lifting bezel edges, and for the removal of molded body trim pieces, without damaging them.